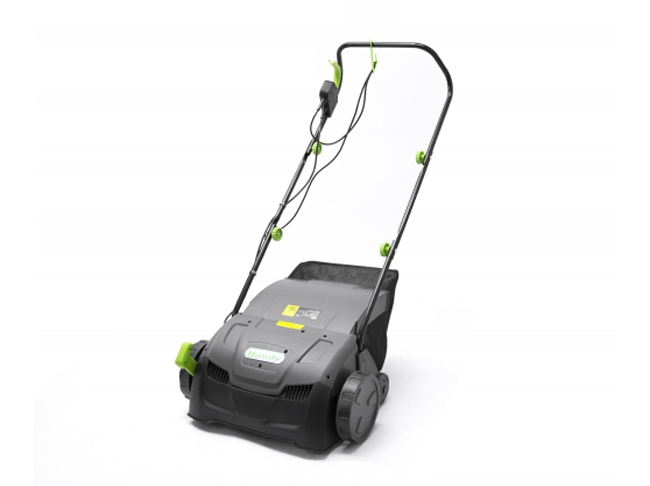 The Handy THSR Electric Scarifier has a 1300 watt mains electric motor and is the ideal machine for rejuvenating the smaller lawn by removing moss and thatch. 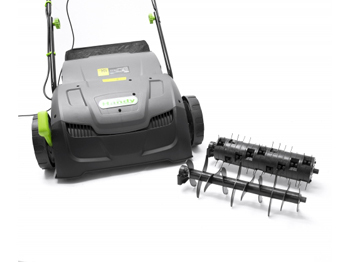 This machine is supplied with interchangeable scarifier and rake cassettes. 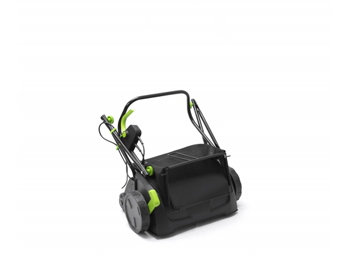 For removal of moss and working in the turf to allow air and water to reach the roots of the grass plants, use the metal scarifier blade. For removal of thatch from the surface of the lawn, use the rake cassette. The working height can be adjusted using a single lever from –10mm when used with the scarifier blade to + 10mm with the rake attachment. Working width of this machine is 32cm/12.8 inches. A 39 litre capacity bag catches the debris removed from the lawn. 10 metre cable. 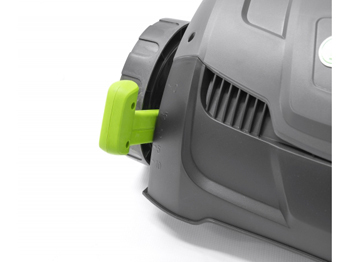 The handles can easily be folded for storage. Please note that we provide full warranty and spare parts support for all Handy machines we sell.